On the behalf of Organising Committee Members, Cardiology Meetings warmly welcomes you to attend the upcoming 26th Annual Conference on Clinical & Medical Case Reports in Cardiology. 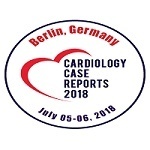 Cardiology Case Reports 2018 will present and discuss latest high impact original clinical research and case reports from all Cardiology field of Medicine and Surgery. The conference will unite world-class professors, cardiologists, physicians, cardiac surgeons, scientists and young researchers to discuss an approach for the treatment of heart diseases, heart failure and providing better living conditions in the society. The conference will also help in networking, B2B partnering between professionals and academicians. It provides an ecteronic communication between the scientists/researchers.